Here’s a question for you, don’t over think it, it’s not a trick question. What does Harley-Davidson Manufacture? Motorcycles, right? Sure they are in to other things like apparel but, they make motorcycles. OK, here’s another question for you, this one is the trick question. What does Harley-Davidson sell? Now your answers may be more like, the open road, bad-boy image, or an American style. What does a good realtor sell? To some it may be the American Dream, for others it may be an investment. What does a good travel agent sell? For you it may be rest and recreation. For me, when I’m talking with my travel agent, I know I’m going someplace to earn money. Another very important “Slight Edge” is courage. And by that I mean the courage to take action. I have seen many participants go through my workshops and do exercises that help them come up with new and different ways to separate themselves from their competition. They leave Minneapolis with such excitement to go back to their companies to make a positive difference in the company’s level of service. But then I reconnect with them only to find they have yet to put their ideas into motion. Sometimes there are barriers that keep us from going forward. It may be the culture of the company or it may be the fear of doing something different. Either way these barriers must be identified and dealt with. Some of the excuses for not taking action are things like, “I was the only one excited about the idea.” Or, “We were going to do that but then we got into our busy season. I call these excuses, rational-lies—they sound rational but, they’re lies. Rational-lies are a demonstration of a lack of courage. When we fail to follow through on a good idea, especially if it’s in line with our statement of purpose, it’s because we lack courage. The lack of courage could be caused by anything, low-trust culture, fear of criticism or fear of change are a few examples I have seen. The same type of thing happens when companies are stagnant or worse, failing. It’s becomes easy for employees to think, “What’s the sense in trying that? It won’t make a difference. Another source of fear is in the employee, called Individual fear. They resist change either passively or actively. Some employees find power and contentment in the status quo. Do you realize that most of us will live our entire lives never knowing whether or not we are a coward? When was the last time you acted with courage? And I don’t mean a bungee cord or tandem parachute jump–life is not supposed to be a pursuit of catastrophe. I mean the kind of courage that requires a commitment, not a momentary beat down of a fear. I mean real courage like running your first marathon or making a commitment to being debt-free or writing a blog two or three times a week? The reason we don’t act with courage is because failure feels ten times as bad as success feels good. Cowards are self-centered people, they are concerned with how they will look if they fail. They are concerned about what other people will say about them if they fail. Courageous people have no regards for self. They know and understand, if they fail they will learn from the experience. They will ask themselves, “What did I do right? What did I do wrong? What can I do better or different the next time?” They know and understand that failure doesn’t mean stop, it means get up and try again. Courageous people can accept failure–they can’t accept not trying. Life is either a daring adventure or nothing at all. 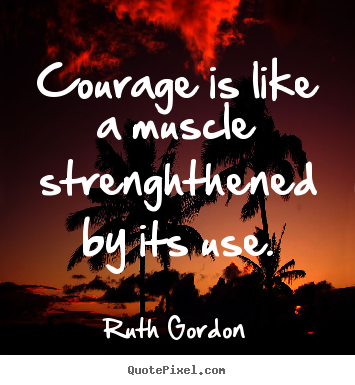 You need to build your courage muscle–you need to start out small. Go for a walk every day. Ask your boss for that raise. Ask that man or woman you’re interested in out for a date. Start building little ‘wins’ and then you can turn up the courage level. Quit smoking, turn off the TV and spend time with your spouse, say no to going out with your friends and put the money your save into your savings account. 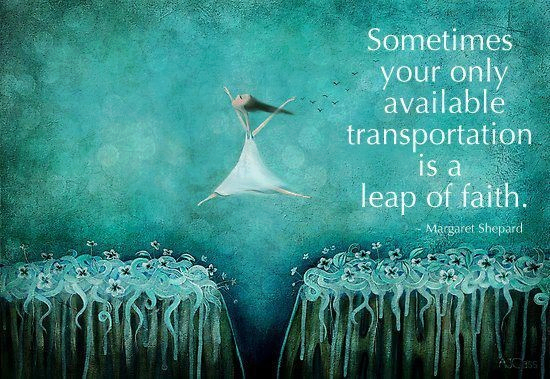 Then you’re ready to take the next step towards a greater level of courage. Quit your job and pursue your dream job or start your own business. Start training to complete your first marathon. Take those blogs you have been writing and turn them into a book. Courage requires us to feel uncomfortable. Courage requires us to get past ourselves. Courage requires personal change. It’s time to start acting with courage—you’ve put it off long enough–you deserve to act with courage. It’s time to sacrifice who you are for who you want to be. Remember when I wrote I sold real estate when I got out of college, and I was really bad at it? When the handwriting was on the wall and it was clear that things weren’t going to work out for me, my manager came to me and said I needed to look in the mirror every morning and say ten times, “I’m the best salesperson in the company. I’m the best salesperson in the company. I’m the best salesperson in the company.” So I did that, every morning for about three months. Well, the problem was, I wasn’t the best salesperson in the company, in fact, many times I was the worst salesperson in the company. I felt like I was lying to myself. But you could see what my manager was trying to get me to do, recite daily affirmations and bolster my confidence. Later, when I started my training career I read in a few different books—“Psycho-Cybernetics” by Maxwell Maltz and “Unlimited Power” by Anthony Robbins—that the quality of our life is the quality of the questions we asked ourselves. They wrote that our bodies are designed to look for the answers—Maltz called it our servo-mechanism. They taught me to ask myself better questions—questions that looked at the solutions and not the problem. Our bodies are designed to look for the answers. So, when you ask a question like, “”Why can’t I get out of debt?” Your mind is answering, “Well, your credit cards are maxed out, every month you only pay the minimum, and every day on your way to work, you stop and buy a $6.00 latte. During a 7 Slight Edges workshop in El Paso, Texas I asked the group, “Don’t ask, ‘Why won’t my husband listen to me?’ What should you ask?” And a woman raised her hand and said, “What hammer do I have to hit him with to get him to listen to me?” Not a great question but at least she’s trying. Companies that deliver poor service ask the upset customer questions like, “What’s wrong?” Or, “What’s the problem?” Or as we like to ask in Minnesota, “What’s the matter?” If you ask an upset customer, “What’s the problem?” what are you going to hear? The problem, right? But if you ask, “How can I help?” what are you going to hear? The rephrasing leads to reframing in our minds. We begin to look for solutions instead of looking at the problem. Companies that deliver poor service don’t ask questions like this to their customers. They don’t want to know the answers—they are afraid they will have to something different. Sixty percent of the public will terminate a relationship with a company based on a bad customer service experience. And the problem is they don’t tell us, they just leave. 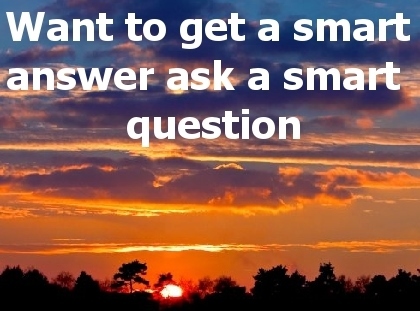 Developing the skill to ask affirming questions in your marketing pieces, in your frontline employees, and in your customer surveys will keep the customer close and communicating. I believe the next big wave in customer service will be, making it easy for customers to complain. 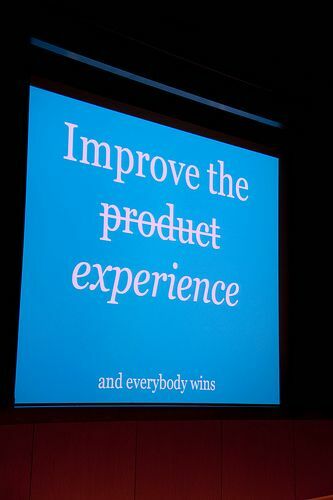 If we can get the customer talking to us we build better, more profitable, relationships. And the way to get them communicating is by asking affirming questions. Then, through effective coaching, get everyone practicing this powerful tool. Companies that deliver great customer service have faith. What do I mean by faith? Having faith means, believing in something you have no proof of. We think that smiling, making eye contact, and using the customer’s name will bring them back but, we really don’t know it does. There are very few studies that report a customer saying. “I came back because she smiled.” But, we do these things because we have faith that it will bring them back. So many times participants leave my workshops with some great ideas to deliver outstanding customer service and separate them from their competition. And of those who practice the slight edge of courage and put their ideas into action, many will drop the idea after a few weeks or months of not seeing the results they had hoped. They lack the faith needed to stick with it, to push on. And when you demonstrate a lack of faith, your employees lose trust that you will ever follow through on anything. Faith is all about measurements. It’s easier to keep the faith if we have something to tell us we’re on the right track. Let’s say your Big Picture is to live a healthy lifestyle. And to do that you’ve decided to put yourself on a diet and exercise plan to lose ten pounds. What measuring tool would you use to let you know you’re on track? A bathroom scale, right? You start your plan and after a few days you step on the scale and you see you lost 2 pounds—great, you’re the right track. After a few more days you step on the scale to find you lost a few more pounds—better yet! The scale builds faith you will reach your ten pound goal. No scale and you will have to use other, less accurate methods like notches on your belt. Or worse, you won’t have anything to go by. If this happens, you are very likely to stop pursuing your goal. Having faith is about measurements; you need to put things into place that demonstrate you are on the right track. If you develop a new customer service performance standard and you don’t have any signposts to help make sure you’re getting the results you want, you are very likely to stop doing it. If you ever want to read a really good book someday, read “The Game of Work” by Chuck Coonradt. In his book the author gives you methods of how to measure, or keep score, of how you are doing. The key is to put something, anything, into place to help you keep score. Many thought leaders recommend this idea of a score board or score card. They work in so many ways. They show your progress, they help you keep the faith, they engage the employee, they provide quick feedback—these are only a few benefits. (1) Objective; there is nothing subjective about the bathroom scale. Make sure your signposts are specific. (2) Self-administered; ask your staff what measuring method they would like to use on themselves. You will be helping the staff take ownership of the idea by valuing their input. (3) Dynamic; use two or three methods of measuring. Allow the employee to compare current performance with past performance. Here’s another aspect on faith. People who lack faith, live in their history. They are always looking back on things. They say things like, “This is the way our industry is.” Or, “This is the way we have always done it.” Or, “I could never run a marathon, earn a million dollars, own a business.” These people are living in their history, they see life as it’s always been. But people who have faith live in their imagination. They look at how good things can be. They don’t look backwards at what are limiting patterns, they look forward to unlimited possibilities. They have faith that this new idea or new initiative or new goal will not only work but be filled with rewards. This is not dreamland, this is about living in your imagination and seeing how great things will be, taking that first leap that and putting your idea into motion and then having a scorecard to measure your progress and help keep your faith. Keeping the faith is all about measurements and living in your imagination. Don’t let good ideas die on the vine. Have the courage to take action on your idea. Think about how good things will be. Use signposts to make sure you’re on the right path. Give feedback to nurture the actions and help the staff take ownership of the idea. Don’t become frustrated if you don’t get immediate results. Remember, unsuccessful people take forever to make a decision, and then change their minds quickly. Successful people make decisions quickly and are slow to change their mind.